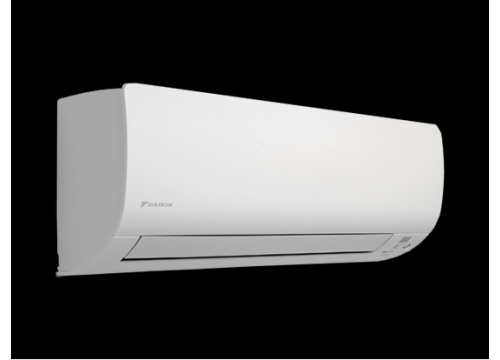 The FTXS series wall mounted unit delivers top performance with Seasonal Energy Efficiency ratings up to A++. The FTXS range are all equipped with an infra-red remote control with a 7 day timer. The time allows you to programme a 7 day schedule with 4 different actions per day. All units are fitted with 1-area Intelligent Eye sensors. If the sensor detects the room is empty, it will switch to economy mode to save energy then restart when someone re-enters. The FTXS35, 42 and 50K are fitted with 2-area Intelligent Eye sensors. As well as the functionality of the 1-area Intelligent Eye, when people are detected in the room the sensor will direct air-flow away from them. All units in the FTXS range are fitted with a photocatalytic air purifying filter and are extremely quiet when operating, ensuring perfect comfort. FTXS-K / RXS-K pairs are listed on the Energy Technology List (ETL) – the definitive list of products that qualify for Enhanced Capital Allowance (ECA).